nce again I received high-efficiency loudspeakers for a review and again they come from a country of our western neighbors. Looking back at all speakers of that type it seems to me that two European countries are current leaders when it comes to these: one is Germany, and the second - yes – it's Poland. I am sure one could surely name some other examples from various countries of the Old Continent, but just from the top of my head right now I can recall such brands as: the French Ocelia, Czech RD Acoustics, Finnish Existence, the Slovenian Natural Sound. Same exercise for Poland and I immediately come up with much more names: Ardento, hORNS, Acuhorn, Bodnar, JAG, Inaudio, and probably still a few more slipped my mind at the moment. The list of German brands and only those I had a chance to listen to, includes: Bastanis, Avantgarde Acoustic, Cessaro, Acapella, Heco, Klipsch, Voxative, and of course Blumenhofer. I am a fan of this type of speakers so I grab every opportunity to get to know more and more of them. Recently, I tested for you the inexpensive and very good sounding Heco Direkt, and this time I shall review much more expensive model called Genuin FS 3 mk 2 by Thomas Blumenhofer. This German brand caught my attention only in 2015 during the High End Show in Munich. The presentation prepared by the brand for the Show was so interesting that almost all the people that I talked to either at the Show or later, mentioned it as one of several most interesting ones. It's quite a rare case when the same presentation is praised by so many people, especially considering that Blumenhofer is not one of the biggest brands. The conclusion is simple – they managed to prepare something special and obviously their products are worth getting to know them. The Blumenhofer Acoustics was founded in 2006, so it's by no means a new brand. The owner of this company has more than 30 years experience in audio business, although most of that time he was involved in professional audio. His previous company's, Blumenhofer&Schraub, reference list includes theaters, restaurants, clubs and discotheques. 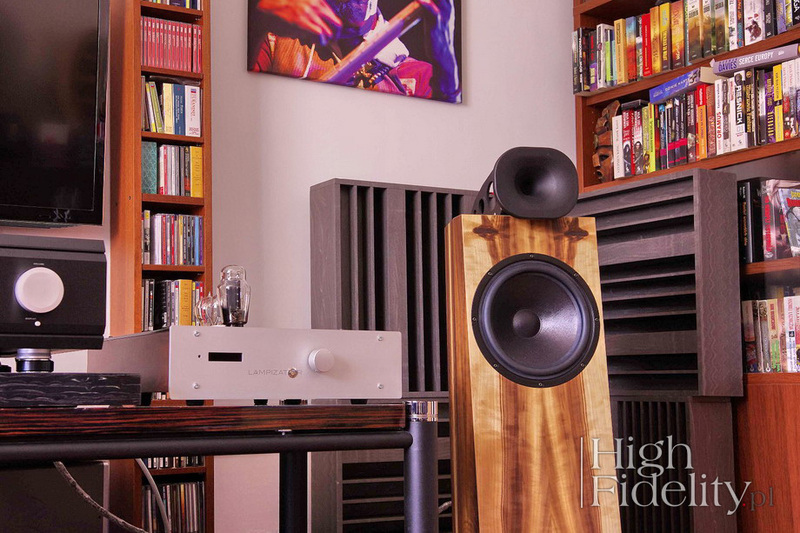 After more than 20 years of designing and installing audio systems in such places Thomas Blumenhofer decided it was time to get back to his teenage passion – building loudspeakers for home audio. He founded his own firm named Blumenhofer Acoustics with headquarters situated in a natural park in the south of Germany, not far from Munich. His goal was simple – to design and build high quality and high-efficiency loudspeakers. Why these? I assume that the choice was at least partially influenced by his earlier activity in professional audio, or at least it could suggest some personal preferences. What are the main qualities of such speakers? Unlimited (as far as it's even possible for audio system) dynamics, immediacy, speed and purity of the sound. One way to achieve that is to build a multi-way, huge (usually very expensive) loudspeakers suitable only for very few systems playing in large spaces. Or one can rather choose to build not that big, usually one- or two-way, high-efficiency loudspeakers to achieve a similar performance and our designer took this path. 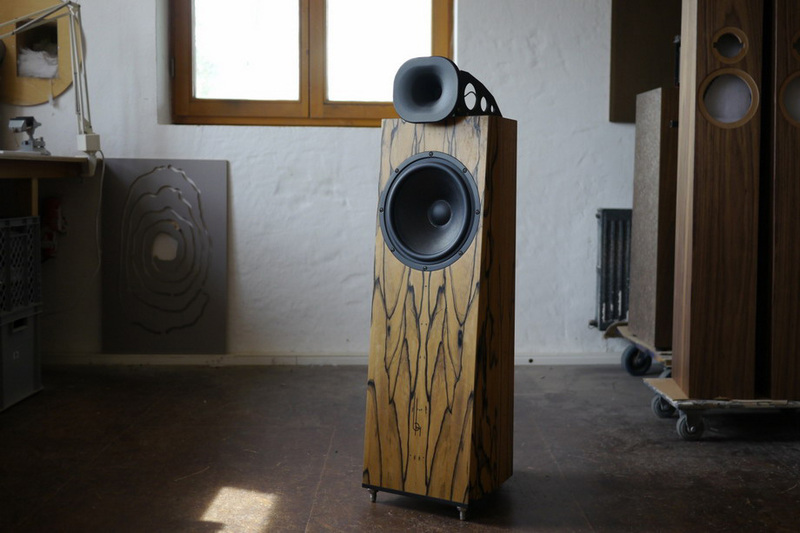 At the top of the Blumenhofer portfolio one finds admittedly huge speakers, I am talking about the Gioia series, but most of his creations are suitable for any "normal" room. FS 3 is the smallest representative of second from the top series Genuin, but even the largest model in the line, FS1, is "only" 116 cm tall and weights barely 60 kg. That's still far (in terms of size) from what many competitors offer. Shortly after the Munich exhibition German brand finally got a distributor in Poland – the Warsaw based Audio System. Until now, I had an opportunity to review one of the models from the lower (than Genuin) series, Tempesta marked with the number "20" for "HiFiChoice". Already this reasonably priced model offered me a very pleasant experience. It may not offer the ultimate refinement, but was a very good match for a low power tube amplifier as well as for powerful solid-state (as well as a hybrid design NuVista 800). As I wrote in my summary: "Even with a rich, warm triode these loudspeakers delivered clean and transparent performance, impressing me with colorful, open and dynamic sound. With more powerful amplifiers they presented their slightly faster and more energetic side keeping the pace even with AC/DC. So it is clear that these are very good all-rounders, although I'd rather match them rather with slightly warm systems than with cold one, as with the latter sound could get too thin and too “cold." The second version (mk2) of the FS 3 model is a representative of the second from the top series of Blumenhofer loudspeakers Genuin. It is also a two-way design (one of the characteristic features of all Blumenhofers), not particularly big one (less than 1 meter in height and 25 kg in weight), featuring a 10-inch (250 mm – it is one of the differences from the first version which used a 200mm driver) paper woofer and 1-inch Mylar compression tweeter working in the waveguide mounted on a kind of frame on top of the main cabinet. What's more, the tweeter can be moved forward or backward, and a precise (to the millimeter) scale allows you to use the same setting for both of them. 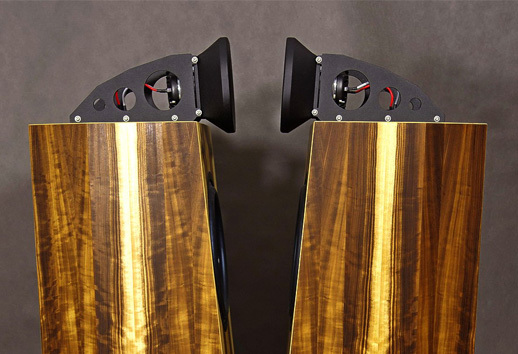 The loudspeakers look really good due to the beautiful veneer and original shape of the cabinet. There are no fancy, flashy elements - it is an octagonal, veneered (there are two standard and a lot of special veneers, the latter cost extra) box with a wider, slightly tilted back front panel and a narrower back, set on three solid, adjustable spikes. FS 3 mk2 feature dual speaker jacks that allow user to bi-wire this loudspeaker. Manufacturer provides users with decent jumpers made from a piece of cable that allow them to use a single speaker cable. This is an 8Ω model with a declared efficiency of 92 dB which means almost any amplifier, even low-power tube one, can be used to drive it. Blumenhofer features one additional feature – a jumper that enables impedance linearization circuit. 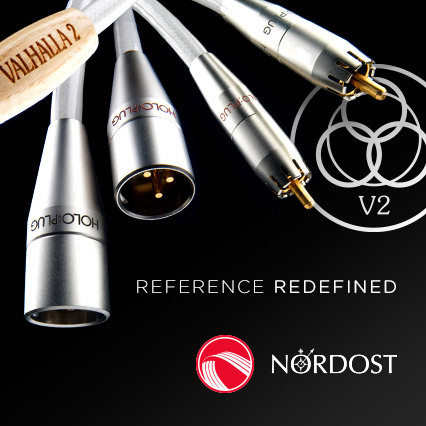 It is recommended for use with tube amplifiers. Of course this is only a recommendation and each user should find the optimal solution that meets his expectations best. To use these jumpers one places them in appropriate sockets located between speaker terminals. The Blumenhofers just missed the fantastic Air Tight ATM-300 Anniversary amplifier that I just reviewed for HiFiKnights, which is an improved, anniversary version of the Japanese 300B SET, that High Fidelity readers might remember from Wojtek's review (see HERE). So instead I drove them with my modified Art Audio Symphony II with Western Electric 300B tubes, the transistor Audia Flight FLS-4, as well as with the hybrid Musical Fidelity NuVista 600 integrated amplifier. This confirmed the versatility of these speakers – they sounded bit differently driven by each of these amplifiers, but each time I really enjoyed what I heard. Let's start my assessment by saying that these are loudspeakers for both, low-power tube amplifiers and for those who prefer powerful, solid-state beasts; With the latter a common sense in terms of using volume control is highly recommended, but I could say the same describing any speakers. What really matters is the actual quality of performance the amplifier one wants to use with Genuin is able to deliver. I suggest using the best amp you can afford. And don't forget to feed it with signal from a high quality source if you want to hear what these beautiful boxes have to offer. Shortly about one more, very important factor if you want to get the best from Genuin. You need to take proper care about their placement in your room. It will take probably more time and effort than usually but it will definitely pay off. You need to find proper distance from the wall behind them and right toe-in angle, plus you can play with tweeters until you find the optimum setting. Don't worry, when you do you'll know it right away as if it just clicked in the right position. You will notice a large, very large, stable soundstage with big, tangible precisely placed phantom images on it. I started my listening session with these speakers replacing my Ubiq Audio Model One in a setup I'd been listening to for previous two weeks with the remarkable Vermeer Audio TWO (a DAC and preamplifier in one) driving the Audia Flight FLS-4 power amplifier. Do you remember what I wrote at the beginning, that the designer of these speakers for many years worked in professional audio industry? And that probably that's where his passion for highly dynamic, open, direct sound comes from? Genuin FS3 mk2 are a perfect confirmation of this theory. They also prove that the above-described sound, usually associated with the stage audio systems, that are not particularly liked / respected by audiophiles, does not rule out refinement, resolution and saturation of sound that we expect from loudspeakers with an audiophile price tag on them. This combination of features provides a unique performance that wowed so many people during Blumenhofer presentation in Munich. Though it seemed to me that my own Ubiq Audio Model One are in this respect better than most and it is not easy to match, not to mention, beat them in this respect, the FS3 mk2 proved to me that regardless of the music genre, they were able to play it in an even more lively, energetic, fresh way. They did it also at low volume levels, although there is no denying that they like to play loud. Interestingly, this presentation is not driven or winded up with the bass performance which another feature differentiating these speakers from typical stage ones. These boxes will not provide you with a free liver massage, or make your wall vibrate. The bass plays the lead role only if that is the idea behind a recording one listens to. So when I decided to play Marcus Miller his bass was in the spotlight. It was rather fast, tight (which is partly due to his playing style), well differentiated, but not so deep and powerful as it would be playing live. I remember from fantastic Warsaw concert that quite a few times I felt the lowest sounds deep in my belly, but still the most important was the speed and energy Marcus played the music with. These sound qualities were presented by Blumenhofers is a very convincing way and they winded up the whole presentation of this type of recordings, they made it so fast, dynamic, and energizing. The bass is rather tight, punctual, fast but it doesn't go very deep to seismic levels. One gets the impression that these speakers operate mainly in the mid- and upper bass area. Except, when comes a moment when there are some deep, low sounds in the recordings and one realizes that these are very present in the presentation. In other words, Genuins are capable of reproducing even the low bass when it is actually needed, even though most of the time they sound ... less massively, lighter than many other loudspeakers. However, in this case that “lightness” of the sound is, from my point of view, quite desirable. It is not a result of a restricted bass reproduction, except for limitations that come from the size of the woofer and cabinet, but the general easiness, speed, and energy-rich performance combined with the presentation of a higher, beautifully “illuminated” part of the band (I'll get back to that).